Whilst Interlaken is best known as a summer destination, with two-thirds of it's visitors staying between May and October, the resort still has plenty to offer in winter too. Interlaken is located in the valley down from the area's big 3 ski resorts: Wengen, Murren and Grindelwald, and tends to be more popular with visitors who don't necessarily want to do winter sports every day but are also interested in some different activities such as shopping, winter-hiking, day-trips to Switzerland cities, winter-trips on Lake Thun, and the general advantages of being based in a larger, valley town. For these holidaymakers, Interlaken can prove a good choice, especially as it's hotels and accommodation offer very reasonable prices during the winter season, as it's the summer which is actually their high-season price. And the skiing is still pretty accessible, especially if you want to try out different areas of the Jungfrau ski region, with a free ski bus taking Interlaken's guests towards the main resorts or use of the fabulous train system as well. Interlaken - The Good, the Bad, ...and the Facts! Good base for the big 3 Jungfrau resorts. Easy to get to by train. Lots to do in summer. Accommodation often cheaper in Winter. Doesn't have it's own slopes. Lots of travelling to get to the Jungfrau pistes. 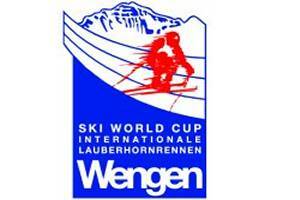 No live-streams are currently available for Interlaken. 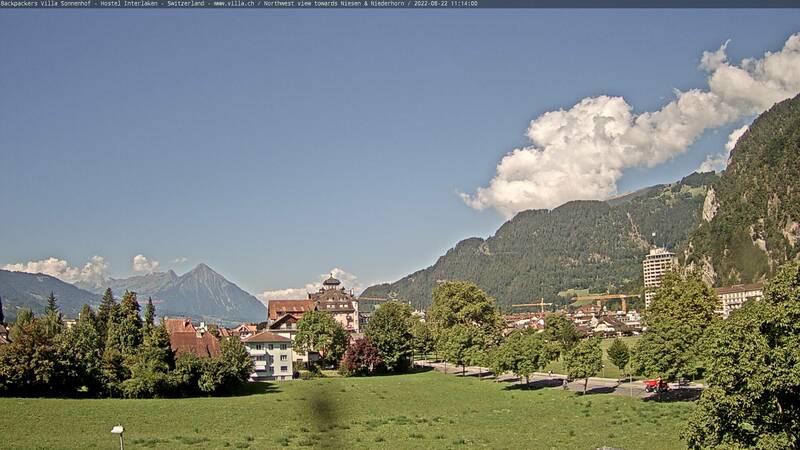 A list of webcams for Interlaken and the surrounding area. Don't be too concerned if you fire up one of Interlaken's web cameras during the middle of January only to be met by views of green fields, brown trees and a distinct lack of snow. Remember, Interlaken is on the valley floor and is just to be used as a base in the ski season for the nearby ski resorts, the webcams of which will most probably be showing reassuringly deep mounds of the white stuff if you try those out instead ! Interlaken itself is pretty family friendly, with a very touristy feel and plenty of options for eating and drinking for those with kids in tow. 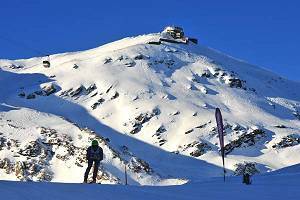 However, for those with really young kids, staying here on a ski holiday with kids would undoubtedly test the patience of a saint because of the issues involving the daily trip up to one of the 3 ski resorts and then the subsequent journey to the slopes. If you think you can contend with that then good luck to you ! It's summer that Interlaken really comes into it's own for families though. It's a fantastic base to explore one of Europe's most beautiful areas, with plenty of things to do and places to visit for all age groups. Interlaken's scenery may be slightly different than the nearby ski resorts of Grindelwald, Wengne and Murren, which are located higher up in the mountains, it is nonetheless set in it's own stunning scenery. Not only does it have a great location between two lakes, Brienz and Thun, with mountain sides coming down on both sides, but it has a magnificent view up into the Jungfrau mountains, naturally framed by other mountains as you look up towards it. Any Summer Skiing at Interlaken ? Given the size of the mountains that are so close to Interlaken, it's something of a surprise to find that you can't actually ski anywhere in the summer. The Eiger has a glacier (the Eigergletscher) and from the visitor centre at the top of the Jungfraujoch you're right next to another one, also the largest glacier in the Alps - the Great Aletsch Glacier (Grosser Aletschgletscher) but there are no lifts or skiing on these. Instead, the Jungfrau region turns its attention to a whole host of other outdoor activities during the summer months, such as hiking, climbing, paragliding and water-sports down on the lakes near Interlaken. Interlaken's history can be traced back to the eleventh century, with the first recorded details of settlements in the area between Lake Thun and Lake Brienz. As well as traditional farming and agricultural industries, the town has been a home to a number of other business areas over the years, including the manufacturing of watches, clock-making, and various textile and print industries. However, the advent of tourism in Switzerland saw Interlaken take on a new role, that of a popular centre for visitors to the Jungfrau region. With an extremely large number and range of different hotels and accommodation to suit all tastes and budgets, it's easy to see why Interlaken has become known as the main resort for exploring one of Switzerland's most beautiful regions. Consider travelling by train - it takes about 2 hours and 45 minutes from Geneva with a single change required at Bern before arriving at Interlaken Ost. Note that Interlaken has two railways stations - Interlaken Ost and Interlaken West. Interlaken Ost is the main station and the one that is used for the majority of the accommodation and the town centre. Ok, so Interlaken isn't a ski resort in the traditional sense of the word, as their are no immediate ski slopes, but access to the trio of famous ski resorts - Grindelwald , Murren and Wengen is pretty easy. Grindelwald is the easiest and quickest of the 3 ski resorts to get to, taking only 34 minutes by train from Interlaken Ost (and it has the bonus of requiring no changes, unlike access Murren and Wengen). Interlaken Ost to Wengen takes 45 minutes by train, with a change in Lauterbrunnen. Interlaken Ost to Murren BLM takes one minute longer at 46 minutes, also with a change in Lauterbrunnen (but going up the opposite side of the valley obviously !). You can drive up to Grindelwald easily, but to get to Wengen or Murren you will need to park up at the valley bottom in Lauterbrunnen and then get up to the resorts using the rail system. Information on the Swiss ski area Jungfrau Region, including links to the surrounding resorts, webcams, slope information and lift details. A list of piste-maps for Interlaken and the surrounding ski areas. Interlaken - Any Chance of Early Snow ? Part of the Swiss hotel chain of the same name, the Victoria-Jungfrau Grand Hotel and Spa is a five-star hotel located in the centre of Interlaken opposite the beautiful Hohematte Park. With stunning views of the Jungfrau landscape, a range of top-class suites and rooms, one of Switzerland's best spa's and a variety of restaurants and bars, it's no surprise to discover that the Victoria-Jungfrau Grand Hotel & Spa is a member of The Leading Hotels of the World group of hotels.